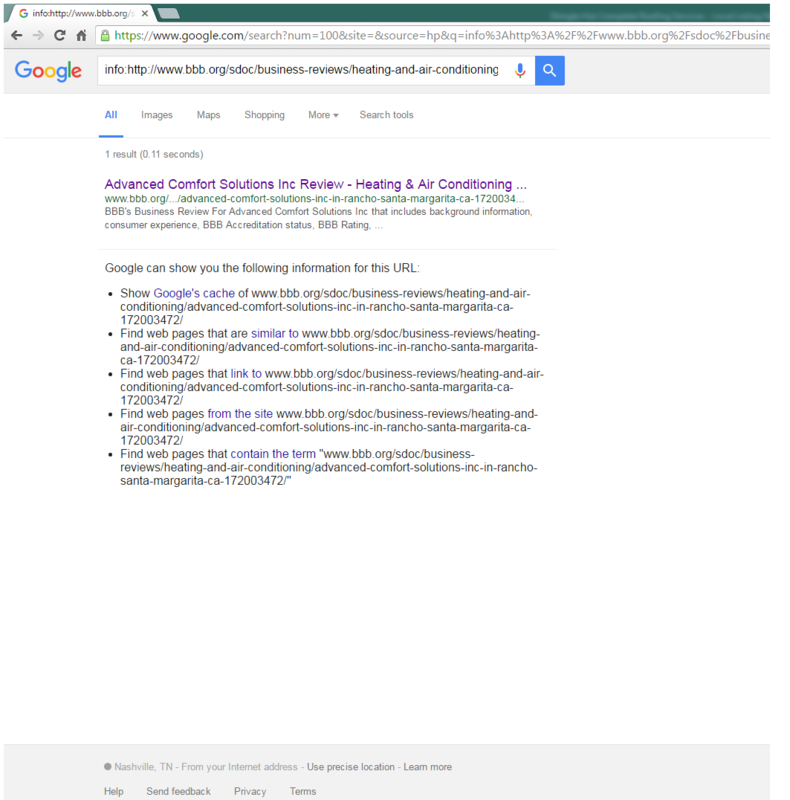 What Is Google’s Index and What Does It Have to Do with My Local Business? Google’s index is by far one of the most important things a local business should understand because of how much it can effect them. Yet most local businesses don’t know anything about it (we’ve surprisingly found that most internet marketing agencies don’t either). So, what is Google’s index and how does it affect you as a local business? Don’t want to read the whole article? Here’s the synopsis. The more business listings you have on the internet, the higher your local business will rank on Google. Actually, what I should say is the more business listings you have on the internet that Google knows about, the higher your local business will rank on Google. However, it’s likely Google knows about less than half of your business listings (yikes). How do you know if Google knows about your listings or not? Enter Google’s index. If your business listings are in Google’s index, she knows about them. And now you need to get those business listings in Google’s index so you can rank your local business higher on Google. Let’s start by defining Google’s index. More or less, Google’s index is the database Google keeps of all the web pages they know about on the internet. The more business listings your business has on the internet (like your Yelp listing, Facebook listing, Yellowpages.com listing, etc.) that Google knows about the higher you will rank on Google. We highlighted “knows about” for a reason. Because if Google doesn’t know about or can’t find your business listings on the internet, they’re not doing you any good. Google can’t rank you higher for business listings you have that they don’t know about. In order for Google to know about your business listings, they need to be in Google’s index. What Exactly Is Google’s Index? Again, Google’s index is the database Google keeps of all the web pages they know about on the internet. See, there are trillions and trillions of web pages on the internet. Google is the internet’s virtual librarian, finding all of the books (web pages), and putting them in her card catalog (index) so she can serve them as search results to you later when you go to Google.com and search something. So, when you did this search, you went to the virtual librarian’s (again, Google) desk and asked for her to help you find articles on the internet about “how to change my oil”. She politely tells you okay, flips through her card catalog (index) and returns search results to you. In a non metaphorical world, what really happens is you type into Google “how to change my oil”, Google runs that search in their algorithm which takes into account all the web pages in her index, she finds the web pages that are most relevant to your search, she then scores them based on quality, and then returns them to you as search results. All of the pages above were in Google’s index. 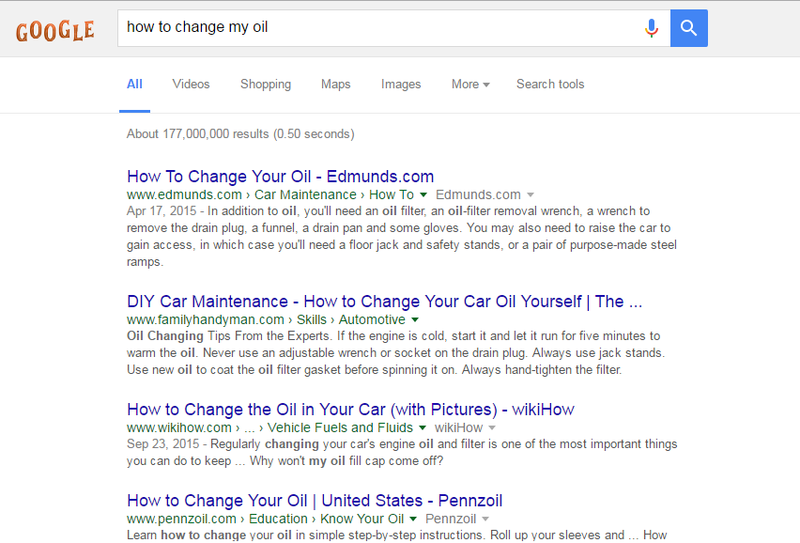 They had to be or when you typed in “how to change my oil” Google couldn’t have shown them to you at all. She would have just shown you the other pages she actually does have in her index. So, Google your company name in your location. All of these web pages you see as search results have to be in Google’s index. 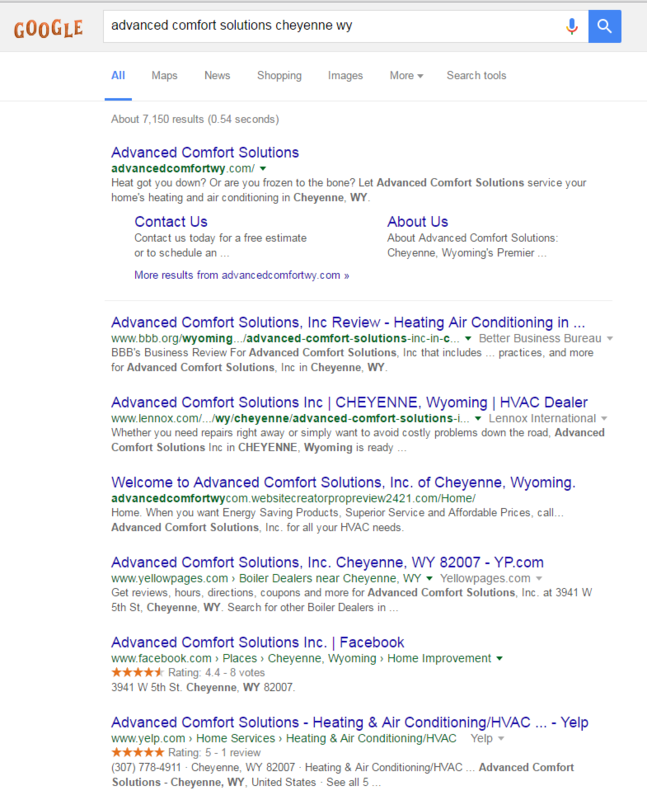 When I did this search, Google took the phrase I typed in “advanced comfort solutions cheyenne wy”, went through her index (again, collection of web pages Google knows about) and matched up a bunch of web pages she found in the index and spit them out. And that’s Google’s index. It’s simply a collection of all the pages on the internet Google knows about. Let’s go back to business listings. Again, remember, if Google doesn’t know about your business listings (have them in her index) then they might as well not exist. Did you know that according to the Local Listing Ninja team here close to 50% of any given business’s listings aren’t indexed by Google? That means your business listings are only working at 50% effectiveness. That just won’t cut it if you’re trying to outrank what’s-his-face around the corner. So, make sure when you’re looking for a local business listing service, you choose one that indexes their listings. Local business listing services can’t get 100% of your listings indexed (Google doesn’t always index everything) but 85% or higher should be the goal. If you’ve already used a local business listing service, go and check to see if your listings are indexed. If they’re not, get them indexed. If you haven’t used a local business listing service, consider it. If you’ve already done your listings yourself or plan to do them yourself, I think it goes without saying make sure you index the listings yourself as well. How Do I Check To See If My Listings Are Indexed? For this part, let’s continue with our use of the example above. 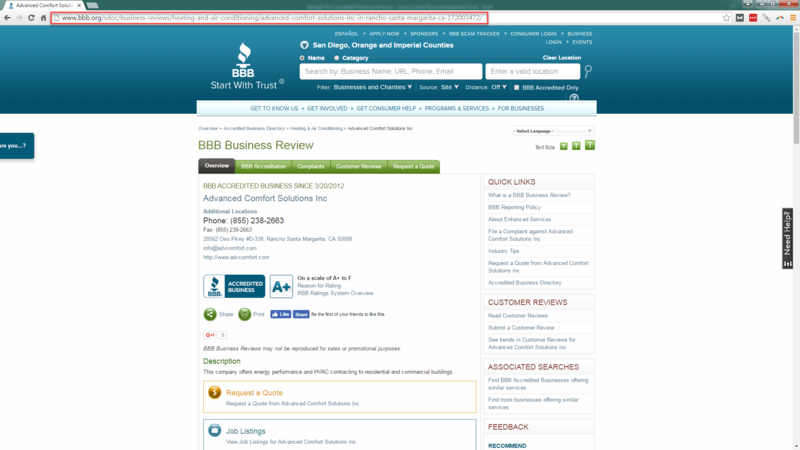 We’ll look at the BBB listing of Advanced Comfort Solutions. Now that we have the URL, we’re going to go to Google and type it in with “info:” in front of it. The listing is indexed. You can tell by Google showing it as a search result and then Google gives us some options below the website result such as looking at something called “the cache”, looking at pages similar to the page we just searched for, etc. Again, if this is what you see when you check your own listing, then the listing you checked is indexed and you’re good to go! Then you know your listing isn’t indexed and you need to get it indexed. Go through all of your listings and check them. I suggest opening up an excel spreadsheet and making a column where you put your listings and another column where you can keep track of whether each listing is indexed or not. How Do I Get My Listings Indexed? So, for the listings that are indexed, great. You can let them be, they’re doing their part for your ranking on Google. For the listings that aren’t indexed, we have to get them indexed. You’ll need a Google or Gmail account (interchangeable) to access the page and to submit. Once you are signed into you Google or Gmail account, get a list of 10 listings you need to submit. And that’s how you submit your listings to Google’s index! Just work the puzzle and you’ll be fine. 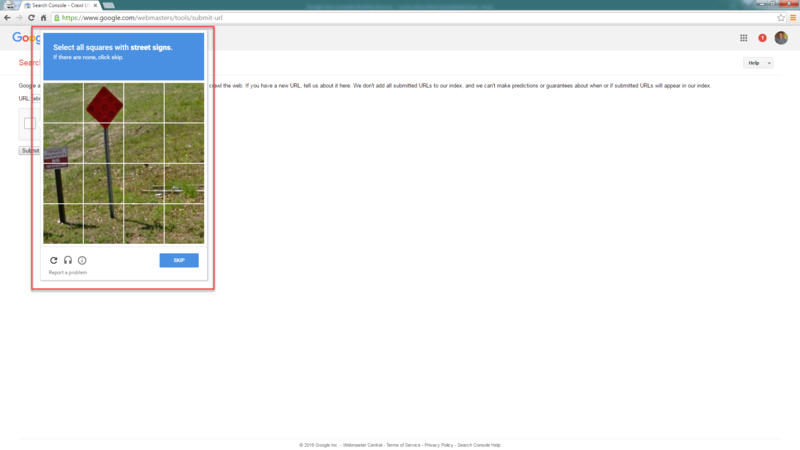 They’re trying to check to see if you’re a robot submitting mass listings or a human being and this is the test you have to pass (“You may be a robot if…you can’t answer Google’s index submission challenge question”). Once you submit and see the “Your request has been received and will be processed shortly.” message you know that Google has accepted your index request. But this does not mean the listing will make it into the index. It means Google will now crawl the listing and see if they think it’s good enough to put into their index. Normally after about 10 minutes or so you can check to see how many of your listings made it into the index by using the “info:” search on each listing like we did in the example above. You should see at least a few of your business listings come up as a search result and then you know they’ve made it into Google’s index. Make sure you don’t submit more than 10 business listings a day. If you submit 10 a day or less you fall under what’s considered “normal behavior” to Google more than likely. If you submit more than 10 a day, Google may see that as abuse to their system and they may take this tool down, not to mention seeing someone index that many listings at once could have a detrimental effect on your rank. Google hates people who try to manipulate the system. They’ve dedicated an entire internal team to it called the “Google Webspam Team”. I love to be an outlaw but this is one time I color inside the lines. Use this index submission tool only for personal use and use it sparingly and responsibly, meaning don’t drink and index folks. Also, P.S., just because your listing doesn’t come up in the 10 minute time frame, doesn’t mean Google didn’t index it. We’ve had listings take 1-2 days to be indexed. Do not, I repeat, do not submit listings more than twice within a 2 week time period. This could also be seen as abuse. Just use the tool wisely and you should be fine. Why Doesn’t Google Index Everything? Because there’s a lot of things Google doesn’t want to index. They try to keep Google at least PG rated and they like to stay away from a lot of mature rated content (you know what I’m talking about). So there’s a lot of that content out there they won’t index. They also won’t index websites with malware/viruses on them so you won’t try to sue them for getting your computer infected and your identity stolen. They also won’t index copied content. If your content is copied from another website, they consider that “low quality content” since they can find it on the original website and more than likely that page won’t make it in the index. And there’s even more reasons that would make this section much too long. 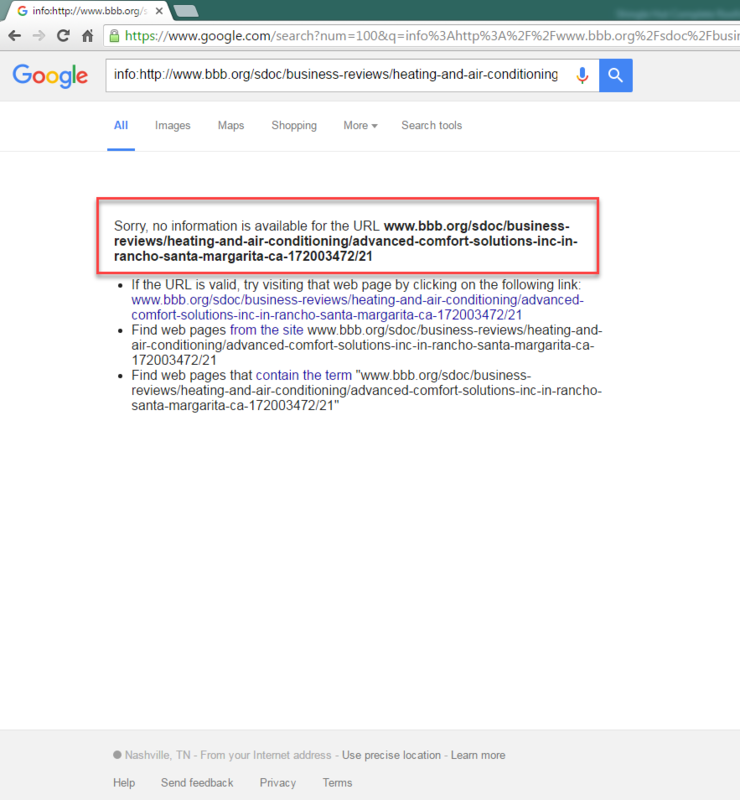 Why Won’t Google Index My <Insert Here> Business Listing? Google doesn’t index all of your business listings. Sometimes it’s as simple as that every listing has the same business name, address, phone, and website, making it a candidate for “copied content”. Other times it’s because the website the listing is on won’t allow it Google crawl the listing. Either they’ve blocked Google (extremely rare) or the website has mucked up the URL for their listings so bad Google can’t process it (somewhat common). If you simply can’t get a listing indexed, it’s probably because of one of the reasons above. I would give it 2-3 tries over a 6 week period (remember, once every 2 weeks) and then retire it. If I Can’t Get All of My Listings Indexed, What’s a Good Amount to Shoot For? Again, we would say 85%. At Local Listing Ninja we guarantee 85% or higher. So, try to get at least 85% of your listings indexed. And last but not least, Google indexes pages of a website, not whole websites themselves. Notice every search result on Google leads you to a page on a website. Many times we click on the homepage of a website on Google as a search results and think Google returned the whole site. They actually just returned the homepage as a singular page. This is just a nifty little thing to know and impress your friends with at dinner parties. Don’t bring up that you know this particular fact at any social event. Google’s index is a database of all the web pages she knows about on the internet. Any business listings that are not in her index, Google does not know about those business listings. Google needs to know about your business listings to rank you higher. 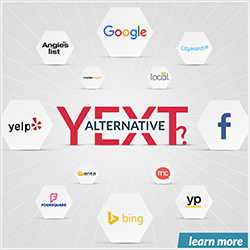 Get your listings indexed to increase your ranking on Google and get more local business.